BETTY PACHECO STARTED WORKING at a young age. She remembers being about 4 years old, helping dry apricots on the family ranch. She was too young to do the first step — cutting the fruit in half with a knife. Instead, a relative handed her the cut halves, from which she would pluck out the pit with her little hands and put them on a tray, before they were dried for several days and packaged for sale. “Mom, I’m tired,” she remembers saying. “If you don’t want to do this all your life, you have to go to college,” her mother replied. 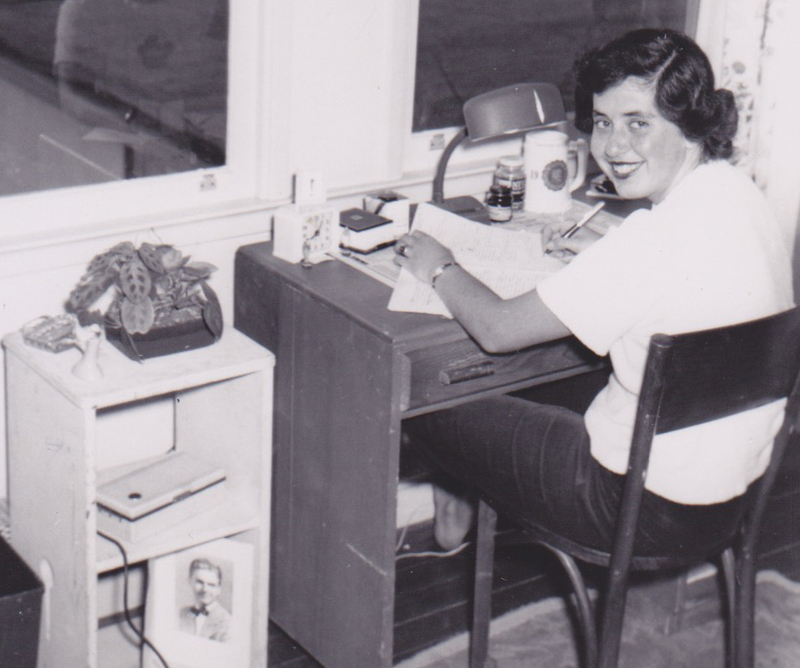 Pacheco became the first in her family to attend — much less graduate from — college, earning a bachelor’s in 1954 and a master’s in 1957, both from Berkeley. As a master’s student, Pacheco worked as a researcher alongside noted physical education expert Franklin Henry. They focused on deep muscle and exercise physiology, and worked with Roger Bannister, the English athlete who cracked the four-minute mile. Pacheco remembers spending a lot of time at the Library — both to find materials and as a place to study — as an undergrad and while working toward her master’s, and even as a doctoral student, years later, when she was attending the University of the Pacific, in Stockton. Pacheco went on to enjoy a long, successful career as a school administrator in the Bay Area, at a time when schools’ administrations were overwhelmingly male. Just a few years ago, when Pacheco, who is now retired, was working on her trust, she started thinking of ways to give back. She decided to include both Cal Athletics (she played field hockey and basketball at Cal) and the Library, specifically Doe, in her bequest plans. “I thought that ... might impact lots and lots of students,” she says. Pacheco is a big supporter of libraries. (“I don’t know how we would do without them,” she says.) As libraries venture headlong into a changing information landscape, she wants to make sure the UC Berkeley Library is equipped to support scholars’ needs in the years to come.